One of my favorite brands is Maison Scotch. This is a Dutch brand, which is selling women's clothing.. They also sell men's clothing, known as Scotch & Soda. Around four years ago they started their feminine line, which contains a mix of boho, outerwear and streetstyle clothing. I would love to wear the look I created above, especially the leather-sleeved baseball jacket. Are you with me? Buy their fabulous collection here. 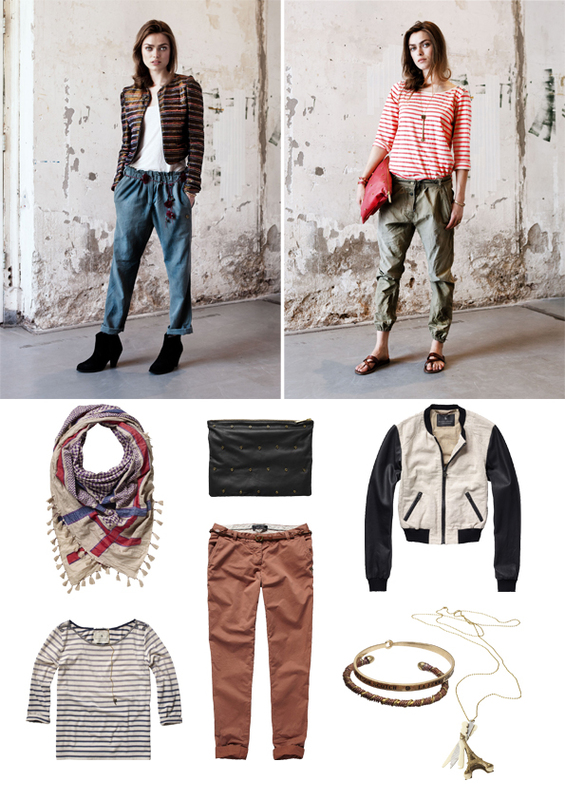 Such great looks - I adore Maison Scotch! I'm totally fan of this brand too. I always can find special and diferent pieces. It has a casual style but super chic, that I love it! Amazing brand and outfits!especially the third! i followed you, follow me back? I love these looks, they are so great. Maison Scotch is very nice. Never heard of this brand before, but they have really lovely stuff!